So you toss it in your cart thinking that you’re doing something good for yourself. But are you really? 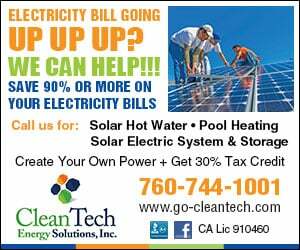 Food makers have tried to sneak in unsubstantiated claims, notes ShopSmart, the shopping magazine from the publisher of Consumer Reports. Dannon used to say that its DanActive yogurt drinks help prevent colds and flu and that eating one serving of Activia yogurt daily could help with “slow intestinal transit time.” The Federal Trade Commission scolded Dannon for using deceptive advertising, so the company stopped. ShopSmart supplies the truth behind seven popular food health claims. — The Claim: Heart healthy. 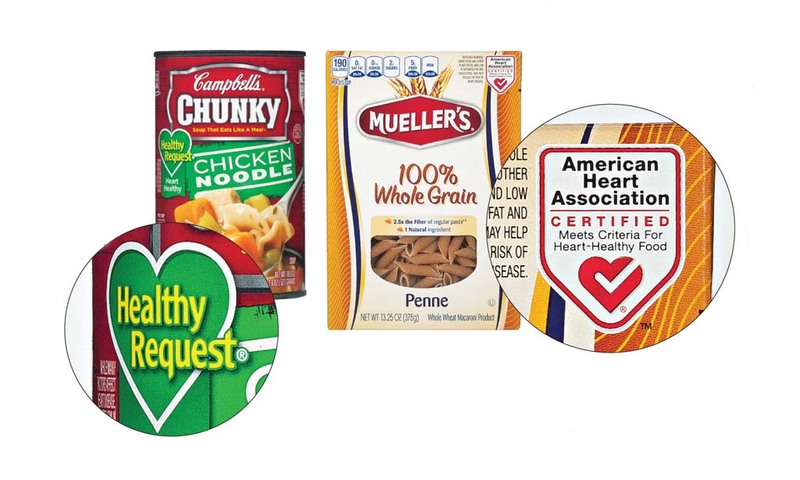 Examples: Campbell’s Chunky chicken noodle soup and Mueller’s Pasta whole-grain penne sport the American Heart Association (AHA) Heart-Check Mark. The Truth: Eating packaged foods such as chicken noodle soup isn’t the best way to heart health. To legally be able to claim a reduced heart disease risk, Campbell’s soup simply has to be low in total fat, saturated fat and cholesterol. To win the AHA seal, it has to be low in fats, plus have no more than 480 milligrams of sodium and 20 mg of cholesterol and have 10 percent or more of the recommended daily value of one of six specified nutrients. So, yes, it’s a healthier choice than, say, a cheeseburger, but that doesn’t make it ideal for your heart. — The Claim: Supports immunity and digestive health. Example: La Yogurt Probiotic contains Bifidobacterium BB-12, a type of bacteria called a probiotic, which “works with the rest of your body to help maintain balanced microflora (the bacterial ecosystem in your gut), support immunity, and support digestive health,” according to the product’s website. The Truth: The Food and Drug Administration has not approved food packaging claims that probiotics can do anything to improve digestion, such as prevent constipation; boost immunity; or improve general health, such as ward off colds or flu. Research behind those kinds of claims is mixed and limited. — The Claim: Blocks or lowers cholesterol. Example: Minute Maid’s website claims that eating a daily total of 2 grams of plant sterols as part of a diet low in saturated fat and cholesterol may reduce the risk of heart disease. The Truth: Research shows that plant sterols — natural substances found in nuts and legumes, for example — may reduce LDL (bad) cholesterol levels, and the FDA says they may help reduce your risk of heart disease. But plant sterols seem to be more effective when eaten at least twice a day. As stated on the orange juice label, you need to drink two 8-ounce glasses to help reduce cholesterol, but that’s a lot of sugar. The Truth: Most healthy people don’t need to worry about GI scores, which measure how quickly blood sugar levels rise after eating a particular food. Foods with a lower GI (under 55 is considered low; over 70 is high) may claim to increase blood sugar more slowly. Still, notes ShopSmart, there are usually too many other factors involved in blood sugar increasing or decreasing, including what else you eat at that meal. — The Claim: Antioxidants! Examples: Cherry 7UP and Raisinets almost sound like health foods with the word “antioxidant” slapped on the front labels. The Truth: Most people associate antioxidants with building a stronger immune system, which is what the manufacturers are banking on. “But whether it will boost your immune response depends on how much you are already consuming from your diet,” says Dr. Jeffrey Blumberg, director of the Antioxidants Research Laboratory at Tufts University. “Certainly there’s not enough in a single food product to make much of a difference,” he adds.